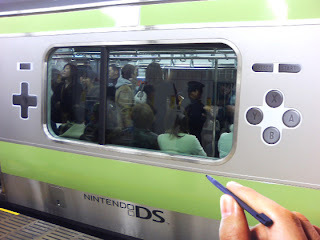 Actually, I'm not sure it's Tokyo, but it's definitely from Japan and it promotes Nintendo DS. It comes from Plastic Bamboo. I'm doing my assignment on Nintendo DS' promotional campaign, this will help a ton.